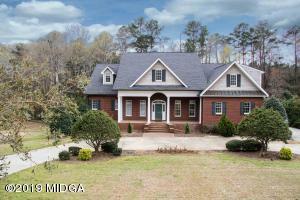 3 Bedroom, 2 Bath home on 3+ acres in a great North Bibb location. Private, peaceful setting but only minutes from North Macon shopping. Spacious great room & dining area. Brick fireplace. Good amount of storage throughout. Double ovens in kitchen. Updated bathrooms. Wired workshop with lean to. Huge screened porch overlooking flat back yard is the perfect place to unwind. Covered patio. Circular driveway. 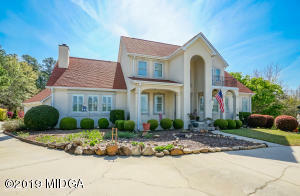 AWESOME HOME FOR SALE…LUXURY DISTRESS SALE!! In the market for an upscale home inNorth Macon? Don’t miss this FANTASTIC opportunity. Bring your best offer. Huge 4 sided brick executive home with full unfinishedbasement. Needs paint, flooring and some maintenance. Finish basement and add tons of value! Mostly cosmetic work! Investor orsavvy buyer willing to do a little work for instant EQUITY. Out of state owner unable to keep home. Premier Swim TennisNeighborhood close to shopping, restaurants & Interstate. Call your agent today! 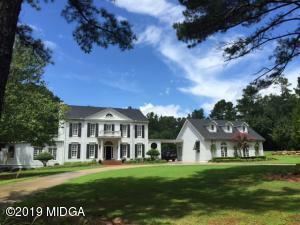 Privacy, acreage and tops in location with 9+ acres, 4 bedroom/3.5 bath in main house plus one level guest house, pool, 3 car garage, man cave bonus room, not to mention tons of Southern Charm, beautiful setting. Peaceful, private just off Bass Road.